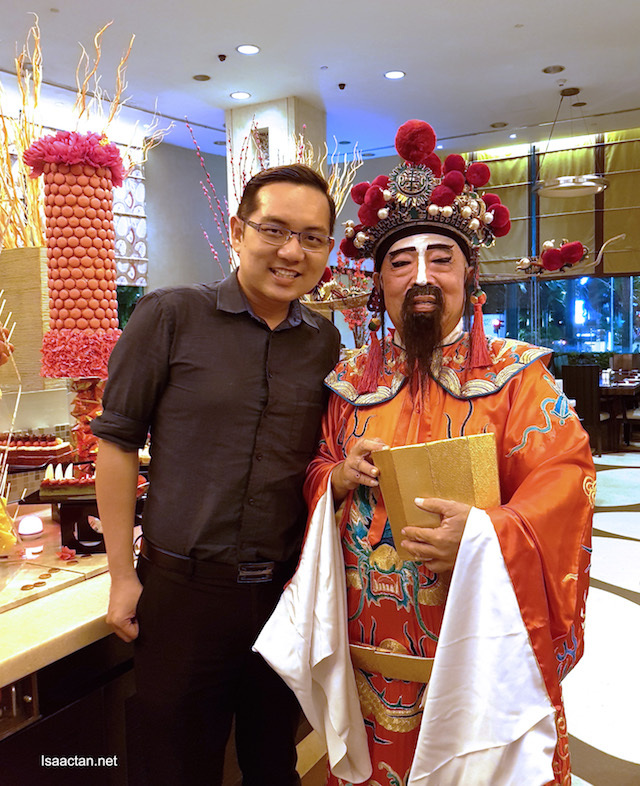 Why Do Folks Love Going To Chinese New Year Open Houses? Tong Tong Chiang.. tong tong chiang… and shouts of “Huat AH!” echoes everywhere this Chinese New Year. Well, that’s what comes to mind, 15 days of joyous celebrations and open houses. Oh, did I just mention open houses? Yes I did! CNY open houses, especially those event based property developers / ministers / anyone important ones are pretty awesome. Have you been to any yet this year? So, why exactly do folks love going to Chinese New Year Open Houses? 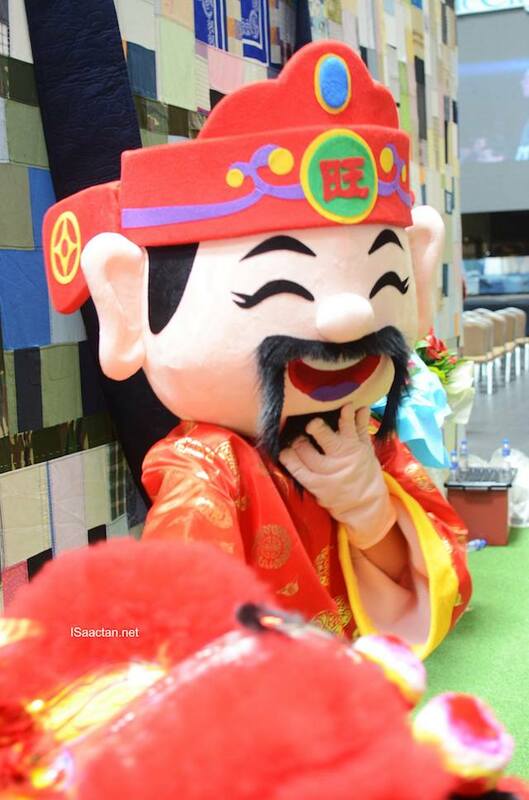 I have a pretty good idea, a top 5 if you would like.. From lion dances, to fire crackers, red ang pows, Chinese Calligraphies and more, what's not to like? Lion Dances are pretty awesome! No other times would you be seeing so many different “lions” dancing and prancing to loud drums! 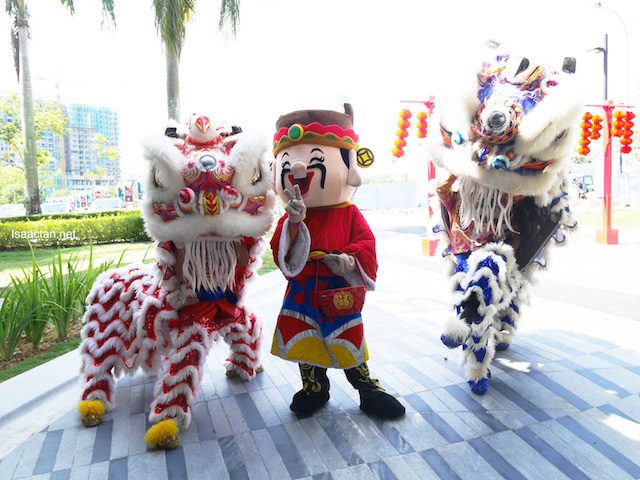 Almost synonymous to Chinese New Year, (other than the loud firecrackers of course) are the lion dances! From elaborate lion setups, to pole jumping, did you know there are many skill levels of lion dances? Oops, forget about the firecrackers, because we know it’s sort of banned here right? Let’s focus on those lively lion dances then! Some lions just walk around, some dance and run from one end to the other end, while some do acrobatic stunts! So which have you seen? 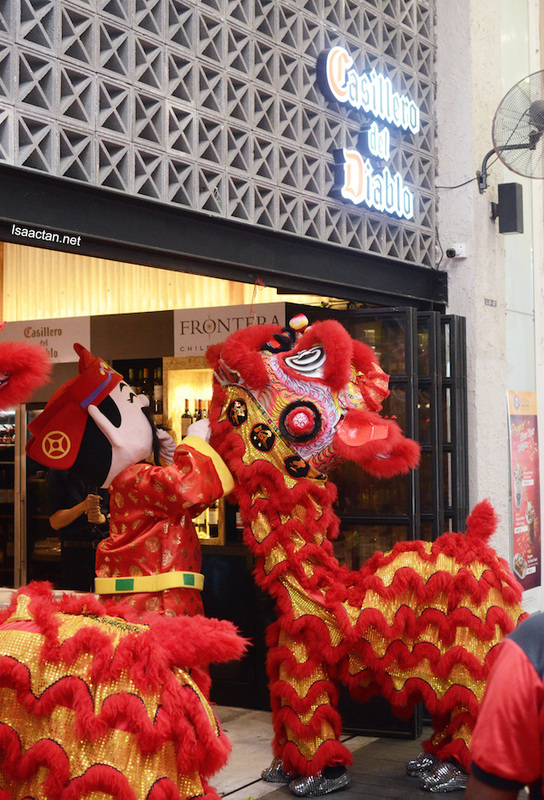 Some lion dances are performed by very skilful people! Red means prosperity, red is fierce.. red is AWESOME! In fact, I love to see ladies in red as it really brings out the colour and puts all of us in a festive mood. God of Prosperity, don’t we love shaking hands with them, patting them on the shoulders, or even rubbing their head (headgear). Why? Because us Chinese always feels its very lucky and will bring us prosperity if we get to touch an auspicious person or God in this matter. The God of Prosperity is here! Let's all go rub his head for luck! 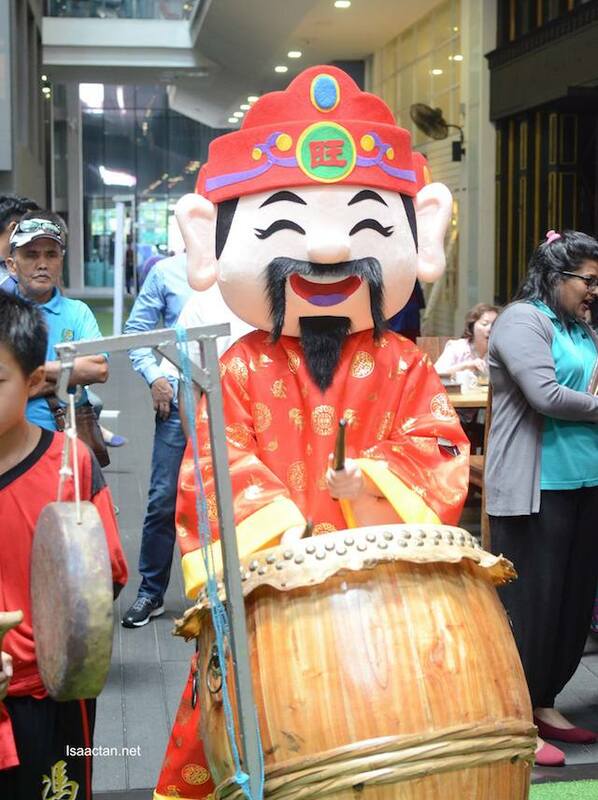 During one of the CNY open houses I’ve been this year, I even saw this very CUTE God of Prosperity running around, and he even went ahead to play the drums for the lion dances. How awesome is that? Not only do we get prosperity showering on us, we get a feast for the eyes and ears. Ever seen the God of Prosperity playing the drums? Now you have. Don't forget to snap pic! 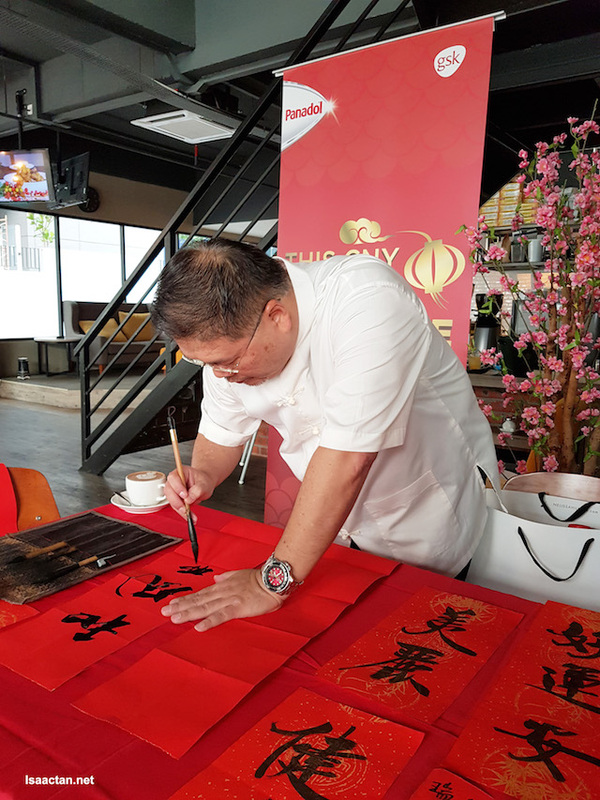 One of my favourite part of any CNY open houses would be that some has these calligraphy masters working their art for us. From prosperous wordings to beautiful artwork in some cases, most of the time we get to take these home for FREE! Oh and it’s customisable too! For me, I chose to have my calligraphy written in words like “Lots of MONEY”, and “Prosperous for LIFE”. Guess what guys? This coming weekend, the 3rd and 4th of March 2018, there’s an awesome CNY open house coming right up. You don’t want to miss it, as everything I have stated on top can be found in one place here. 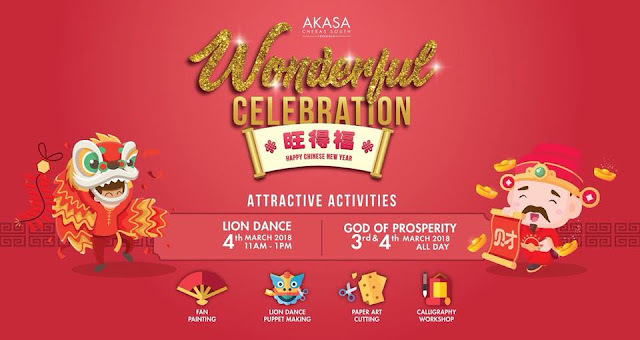 Akasa Wonderful Celebration, you need to be there I tell you! Check out their event page here for more info. Akasa Wonderful Celebration, Be There! I can't go this year and I did not hold one myself either as it has not been a year since my father passed away. We had a very quiet Chinese New Year this year but it was good, very relaxing, minus all that hassle.